At HDG Hotels, our philosophy can be summed up by one word which is "sustainable". The word sustainable has taken on new meaning and importance as it relates to worldwide efforts to sustain our environment. 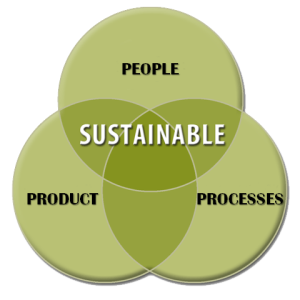 We believe in sustainable as it relates to this concept. This belief has translated to our hotels in terms of an effective preventative maintenance program so that our equipment and machinery is running efficiently. We have also installed exterior LED lighting throughout most of our hotels and are now in the process of doing so in our hotels' interior lighting. This belief has also translated in our view towards our people, product and processes. We view each of these as long term investments in which we need to reasonably invest so that we can expect a return on investment which is sustainable. During our Holiday parties at our hotels, Navroz described these segments as buckets which need to be filled. If we do not fill the buckets of people, product and processes by making reasonable investments in each, then we believe that whatever return we do deliver to our shareholders will be short lived and not sustainable. We also believe this type of business model is one which is able to better balance the risk reward scale of the hospitality industry because by making investments in our people, product and processes the hotels become more than just an investment play and have a framework which allow it to better weather the cyclical nature of our economy. The trade-off is that like Amazon, we do not guarantee super normal returns during boom times. Conversely, during down times, we are better able to have the necessary infrastructure in place to manage our assets optimally. As we look to 2014, we believe that a strong competitive product with well trained people and sharply honed processes will pay dividends in greater guest satisfaction and index growth driven through the premium we will be able to command by our continued focus on the three Ps. In turn, we hope to continue to make reasonable investments in the three Ps resulting in a sustainable growth pattern whose mantra is "built to last."